Custom, elegant text logo design for your small business in the colors you prefer. ▼ We will incorporate your name of business, tagline, favorite color scheme and send you a detailed design you will love! ▼ Need something similar or a different business type? Please message us if you have any questions or custom requests! ▼ The displayed picture is an actual design sample created for a client. ✔ High resolution PNG with transparent background. ✔ FREE PSD Photoshop source file. 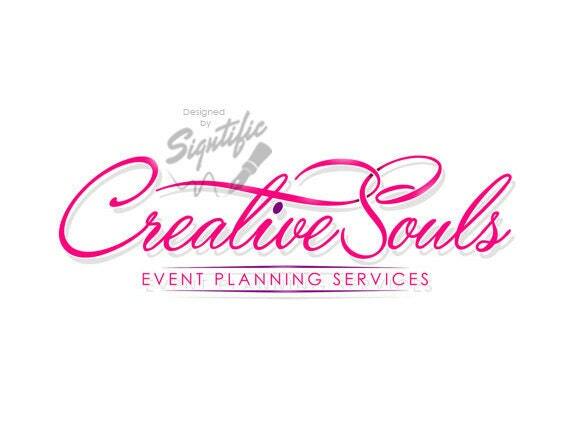 Small business logo, custom events planning logo design, pink logo, fuchsia logo, logo for advertisement, business logo for business card. I was very happy with the logo. Your service was quick and the quality was good. Quality design, quality work! Extremely prompt as well!